FOR tourists soaking up the sights of Rome, the Trevi Fountain is a popular location for a quick selfie. 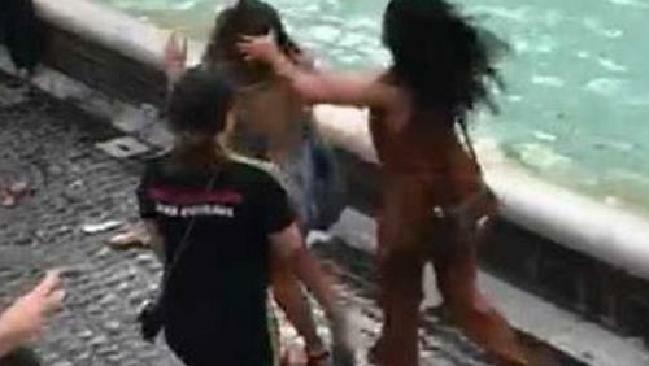 But the scenic spot descended into chaos on Wednesday night when a fight between two women erupted into a brawl so wild that police were forced to attend. It all began when a 19-year-old female tourist from the Netherlands and a 44-year-old Italian-American traveller wanted to snap selfies in the same position. This occurred during "a time of day when the light makes the fountain a perfect backdrop". Italian newspaperLa Repubblica reported that the duo exchanged heated words as they both jockeyed for the perfect angle at the historic site. Soon, fists were flying and family members jumped in, turning the argument into a brawl that four police officers had to break up. Eight people were reportedly charged over the fight, which resulted in bruising. 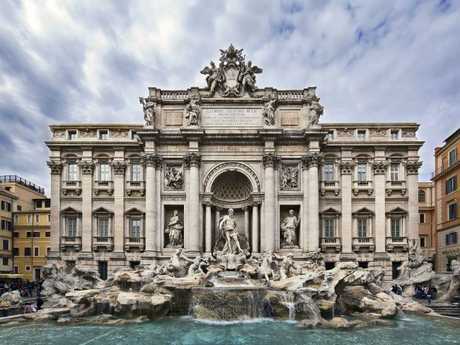 It comes just days after officials announced plans to make tourists walk past the Trevi Fountain on a designated pathway, in a bid to address "out of hand" overcrowding at the monument. Rome is far from the only spot to have a problem with selfie-taking tourists - which is a growing issue here in Australia too. Recent images show that despite signs plastered onto a fence warning visitors not to venture to the edge of the famous Wedding Cake Rock in Sydney, the risky behaviour is still occurring. Hundreds of tourists flock to the Insta-famous rock formation, named for its white colour and flat, layered surface, despite the threat of an imminent collapse and large cracks visible on the surface. They often pose on the ledge - or even hang over the side. That's despite the risk of a fine - or of falling. Walkers take pictures near the cliffs edge at Wedding Cake Rock. In 2014, a French tourist fell to his death when a cliff crumbled underneath him. The following year, two men had to be winched to safety from a ledge after falling. In May, a man was mauled to death after he tried to take a photograph alongside a bear. Prabhu Bhatara had stopped to relieve himself in a forest in the eastern Indian state of Odisha when the incident occurred, the Hindustan Times reported. The man spotted the injured bear and decided to snap a selfie with it but when he approached, the creature's fight instinct immediately kicked in. "Bhatura died on the spot," forest ranger Dhanurjaya Mohapatra said. Horrific video of the incident filmed by a bystander showed the bear attacking Bhatara, as terrified witnesses screamed. A stray dog even attempted to go after the bear by barking at it, but the victim could not be saved.